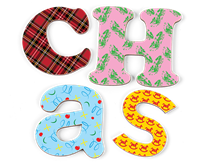 We're CHAS. We care for children across Scotland with life-shortening conditions. We offer palliative care, family respite and support – through our hospices, homecare services and hospital presence. "Things I like to do at Rachel house"
"The team are so friendly, caring and sensitive." "Rachel House is a lifeline"